Halve tomatoes, slice scallions, and chop basil. Add tomatoes and scallions to a large bowl. 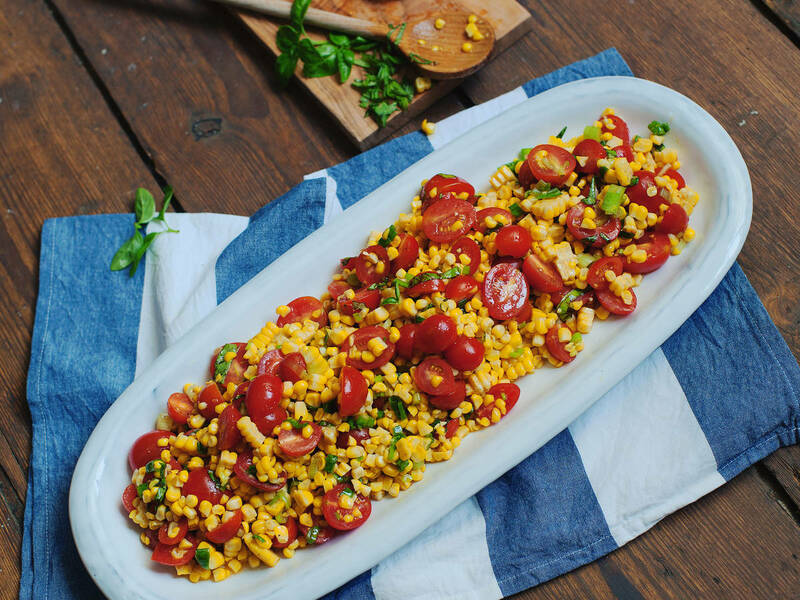 When corn is cool enough to handle, cut kernels off cob and add them to the bowl, too. Whisk together olive oil, vinegar, and honey. Season with salt and pepper. Fold half of dressing into salad and taste, adding more if needed. Gently stir in basil and a squeeze of lime juice to taste. Enjoy!